Do your children struggle to understand percentages? The Percentages Penguins are here to help! 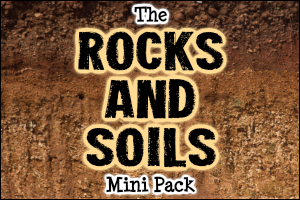 This resource pack includes a full teaching guide, activities resources, independent reference materials and printable display goodies! One Fourteen Page Guide to Percentages – Our handy reference guide can teach your children about all aspects of percentages. The Percentages Penguins explain what percentages are, how to work out percentages of quantities, using percentages with money (in a variety of currencies) and more! 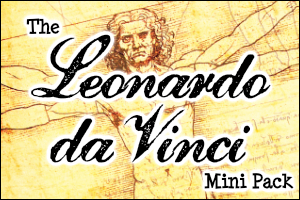 Share the PDF pages on a large display for whole class teaching or print them for independent reference and classroom display boards. Thirty What Percentage…? Posters – A collection of colourful grids, charts and photos… Can your children use their percentages knowledge to estimate (or accurately calculate) the answers to the questions? Available in a large poster format and a smaller card format. Three Pages of Percentages Dominoes – A set of printable dominoes showing written and visual representations of different percentages. Can your children use them to play a game of dominoes… or cut them all up and use them for a matching activity? Three Sets of ‘Find the Percentage’ Problems – Challenge your students to solve each problem using the answers shown on the grid. Includes three sets of questions with answers for teachers! Two Sets of Percentages Follow Me Cards – Give each child in your class a card and ask them to read their question. The child who has the answer to that question reads it, along with the new question on their card. Continue until you have answered every question together! Includes money questions using pounds, euros and dollars. Four ‘Price Changes’ Activity Sheets – Sets of word problems based on the prices of items in a shop. Can your children use their percentages skills to work out the correct price changes? 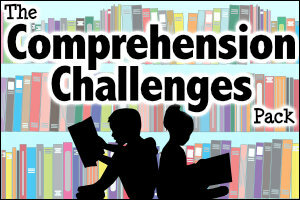 Includes four different sets of questions which vary in difficulty. Alternative versions are available using pounds, dollars and euros. Twenty-Four ‘Converting Percentages and Decimals’ Challenges – Printable activity sheets that challenge children to convert percentages to decimals (and vice versa). Includes a range of differentiated pages, with answers for teachers (or for self-checking). Fifty-Four ‘Finding Percentages of Amounts’ Activity Sheets – A huge collection of activity sheets that ask your children to find percentages of different amounts. A range of printable pages are available, varying in difficulty and including money problems (with pounds, dollars and euros). Three Display Banners – Decorate your classroom walls with our printable goodies. Watch the video below to view samples of resources from the Percentages Pack. Excellent set of resources. Very well illustrated. Language used simple and clear for pupils with special needs.Like the link to real life. We loved this pack, particularly the perfect little penguins. The pack, as with all the others, is so vibrant and well illustrated, that it made learning percentages so much fun. We can't wait to start the next one! Thank you again for another engaging resource. This pack (along with the fractions and decimals packs) has been very useful for my Year 5s trying to get their heads around the triple threat! I especially like the quick reference cards. It was great to find a set of resources that enable me to teach percentages in a clear, interesting manner. I loved the visual way of showing the link between fractions, decimals and percentages. The dominoes and follow me cards are a great way to liven up a lesson. The "What percentage?" cards are clear and colourful and great for both displays and as discussion prompts. Such a wonderful resource that is beautifully illustrated! The pack, like all of the others, is an excellent way to commence the topic with any year level as it starts at the beginning of the concept and progressively increases in difficulty to suit all age groups. I love the versatility of each of the packs. 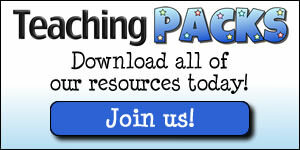 To everyone at 'Teaching Packs', thanks for the wonderful resources! Children enjoyed using these resources.